Time-lapse of rollercoaster ‘Th13teen’ complete! 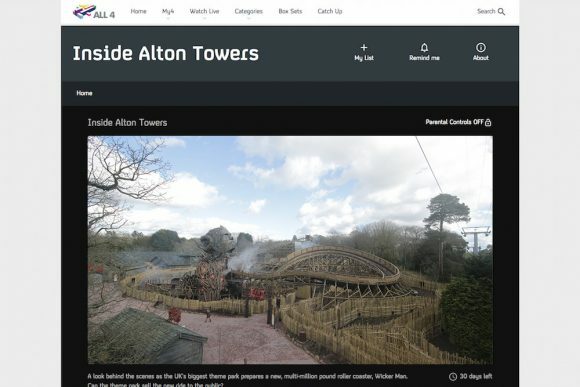 We have finished the 12 month long time-lapse construction of the brand new rollercoaster, called ‘Th13teen’ at the Alton Towers Resort in Staffordshire… Out time-lapse camera system had been placed in a highly exposed position, high on a specially designed post in the Staffordshire Moorlands. It faced extremes of temperatures and weather conditions throughout the 12 months of construction, but performed without major problems for the entire duration. We have now edited the complete movie sequence of the entire construction for our clients.